A moisturizer that calms and soothes redness-prone skin. Hydrating formula with witch hazel, rosehip seed oil and organic oat extract. Eliminates redness and also infuses skin with botanical to prevent wrinkles and fine lines. Instantly calms skin with Rosacea. 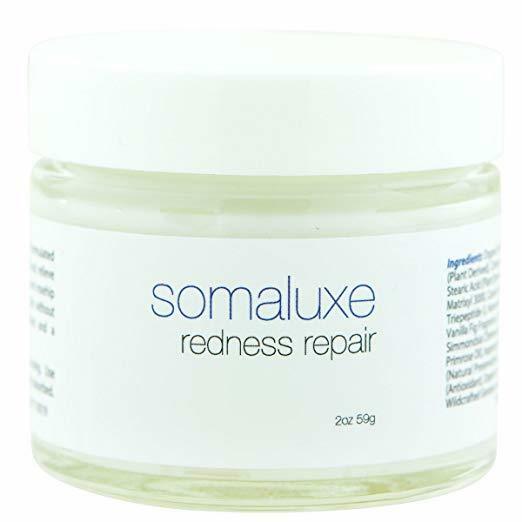 Relieves visible redness, blotchiness. Soothes to cool discomfort. Over time, helps improve skins comfort, lessens the look of broken capillaries. Dermatologist Tested. 100% free of harmful chemicals. 100% Cruelty Free. This extra-gentle, oil-free moisturizing cream provides instant relief to skin with persistent redness, blotchiness, or broken capillaries. The ingredients have been long known to provide anti-irritant and anti-redness effects to sensitive skin. Rosacea-prone skin needs special treatment, and thats what this moisturizer has been created for. It has been created specifically for controlling redness, flushing, and flare-ups of the face, the well known symptoms of this very common skin problem. The ultra calming ingredients will go far in helping rebuild the damaged collagen networks, improve damage like broken and visible blood vessels, and preventing annoying flare-ups and redness in the future.